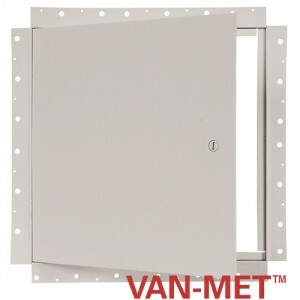 New product: NDR Concealed Flange / Removable Panel | Maxam Metal Products Ltd. The latest addition to our product line is the Model NDR, a concealed flange / removable panel with safety chain. This model can be installed after drywall is applied, for situations that require a removable panel. The standard construction is galvannealed steel with a rust inhibitive off-white prime coat finish and flush screwdriver cam latch. Click here to view the NDR product page.